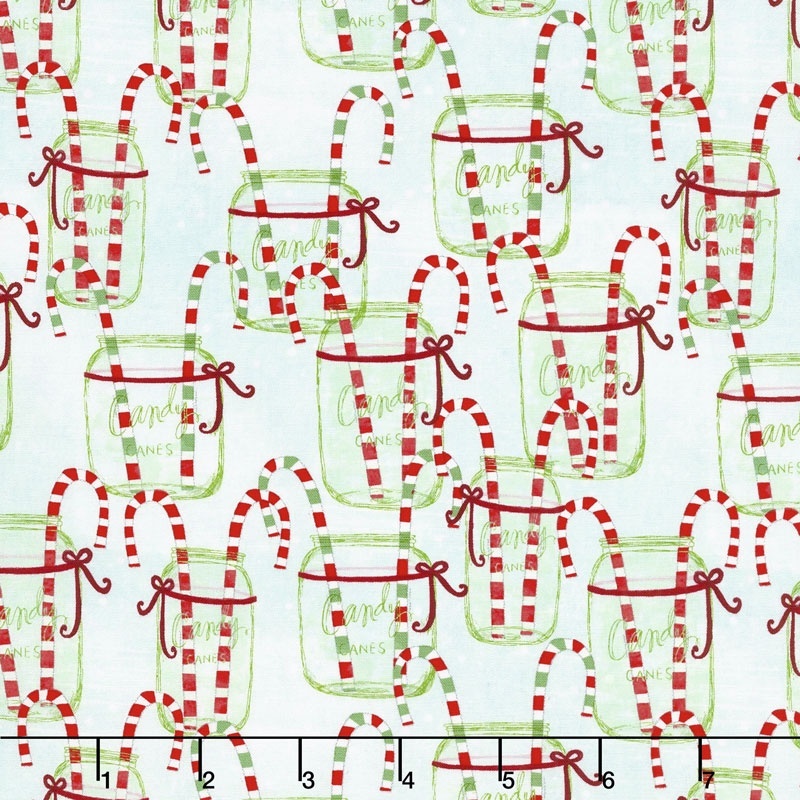 The candy canes on this light green background are in jars. Where do you keep your candy canes?What is Christmas if it isnt frosty? If you dont see any snow falling outside your window, you can at least enjoy the snow in the Frosted Holiday collection. Featuring snowy Christmas trees, holly, sweet candy canes, and adorable reindeer! So while you wait for the snow to fall, keep yourself happy by sewing up a new Christmas quilt!